The Western and Midwestern USA should be able to see a total lunar eclipse this Saturday morning. The rest of the USA will likely see only a partial lunar eclipse as the moon drops below the horizon before the total eclipse occurs. This is one of the most comprehensive overviews of the Canon EOS 7D Mark II that I've seen. It's definitely a good reference if you're considering stepping up from a Rebel or xxD series camera. For even more detail on this highly capable camera, check out Bryan's full review. Step up to a Canon EOS 7D Mark II Digital SLR - designed to meet the demands of photographers and videographers who want to cover a wide range of artistic opportunities – from sports to wildlife and everything in between, and find the quality you've been looking for. B&H carries the Canon EOS 7D Mark II. B&H is closed from 7:00pm EDT on Thursday, April 2 through Saturday, April 11. We will reopen on Sunday, April 12 at 10:00am EDT. Online ordering is unavailable from April 3 at 7:15pm EDT through April 5 at 8:45pm EDT, and from April 9 at 7:15pm EDT, through April 11 at 8:45pm EDT. Orders placed by Thursday, April 2 before 12:00pm EDT are processed before the Passover closing. Orders placed after this time are processed when we reopen. 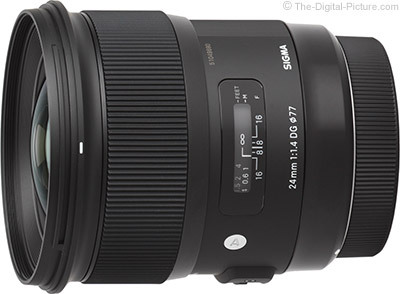 The balance of the standardized test results (distortion, flare and vignetting) along with measurements and product images (standard and eye candy) have been added to the Sigma 24mm f/1.4 DG HSM Art Lens review page. Note that the first image quality link in my last Sigma 24 Art post inadvertently showed results for the 7D Mark II instead of the full frame 1Ds Mark III. If you didn't catch that, check the Image quality results again. As I said in the last post, my goal is to complete this review within a week. Stay tuned. B&H has the Sigma 24mm f/1.4 DG HSM Art Lens available for preorder with "coming soon" being the expectation for arrival. 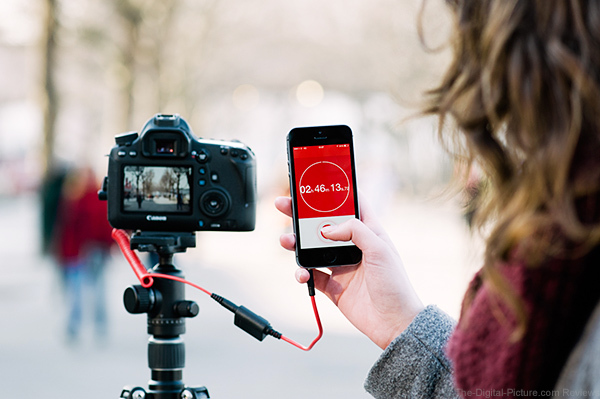 Triggertrap Timelapse Pro is an advanced companion app to the hugely successful Triggertrap Mobile App, offering flexible and powerful modular timelapse creation to iOS users for just £3.99. Retaining the same user friendly format and beautiful design that has made Triggertrap Mobile such a hit with photographers, Timelapse Pro inspires timelapse photographers to create stunning images, customisable to their specific needs and situation. The app enables users to create timelapse sequences composed of so-called ‘Intervalometer’ and ‘Delay’ modules. These modules can be configured, mixed and matched. Several modules can be added to each timelapse sequence. Users can reorder and delete modules as they please, adding even more flexibility to their sequence. Photographers can also create and save as many timelapse sequences as they like, giving the option to save favourite settings for different scenarios. Check out our Triggertap Mobile Dongle Review for more information. "Ever since the Speedlite 600EX-RT was introduced a couple of years ago, my [author Eric Stoner's] life as a portrait artist changed forever. Don’t get me wrong, I loved my Speedlite 580EXII! But, the amount of additional control and reliability that the Speedlite 600EX-RT offers is, in a word, superior! 'Speedliting,' for many people, can be a scary proposition especially using E-TTL Automatic flash. One reason, and it’s a good one, is that you never really know how much power the flash is outputting. Does one really NEED to know that information? I’m sure for some of you that the answer is 'yes' and I understand it, but I’m a results kind of guy! I know that these Speedlites work very well and I trust them!" B&H carries Canon Speedlite flashes. With immense focus and unparalleled features, #SamyangOptics will introduce the latest product. Stay tuned. 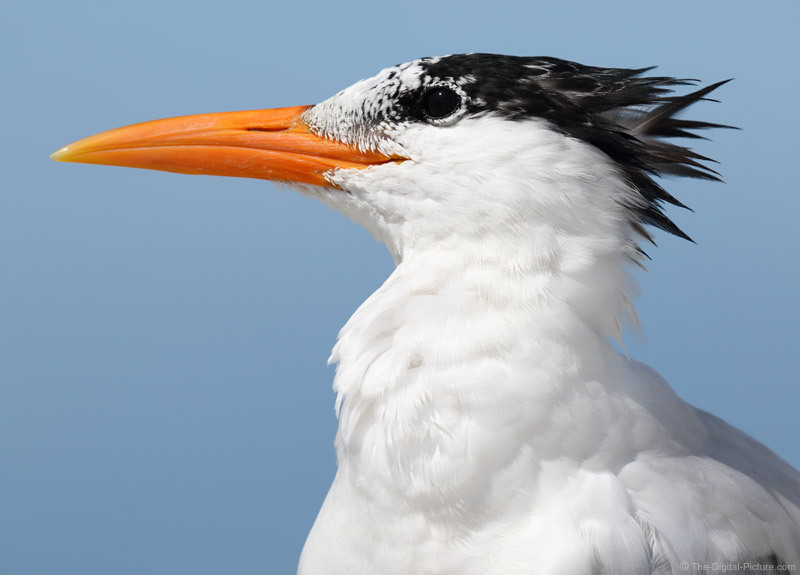 I mentioned that I used a NatureScapes Skimmer Ground Pod II for the capture of my yesterday-posted royal tern photo. Today I posted a short review of that useful tool. 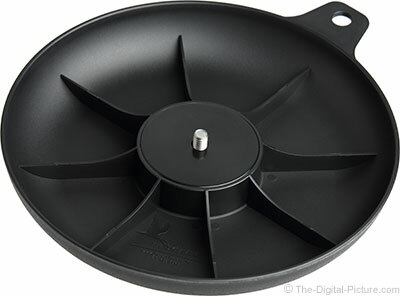 B&H has the NatureScapes Skimmer Ground Pod II in stock. "Canon Explorer Fernando Guerra originally qualified as an architect, but went on to combine this training with his love of photography, to become one of the world’s foremost architectural photographers. The new EOS 5DS DSLR – with its extraordinary 50.6 Megapixel sensor – is the perfect tool for people in Fernando’s line of work, as well as for landscape and studio photographers. So when Canon invited him to put a pre-production model of the camera through its paces, he was only too happy to accept. Once his test run was over, CPN caught up with Fernando to get his first impressions..."
See the entire article on the Canon Professional Network. B&H has the Canon EOS 5Ds / 5Ds R available for preorder. Looking for a shoulder bag or backpack for your EOS M or compact DSLR camera system, one that can also hold a tablet or laptop? Think Tank Photo has just released the Urban Approach 15 backpack, the first backpack designed specifically to hold a complete mirrorless or compact DSLR camera, as well as a 15” laptop, up to a 10” tablet, smart phone, and extra space for gear and personal items. The Urban Approach 5 shoulder bag holds one medium to large mirrorless or compact DSLR body with lens attached, one to three additional lenses, and an 8” tablet. The Urban Approach 10 shoulder bag holds one medium to large Mirrorless body or compact DSLR with lens attached, two to four additional lenses, and up to a 10” tablet. And don’t forget that with our special arrangement with Think Tank, when you place an order for $50 or more you will automatically be able to receive a Think Tank item for free! 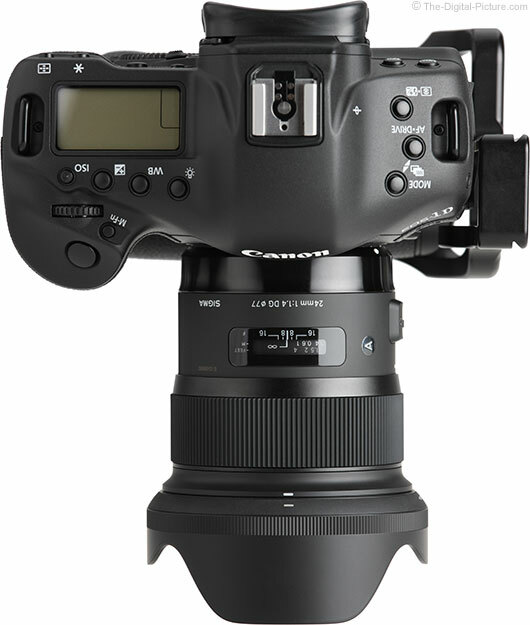 Image quality results from the 1Ds III and 7D II have been added to the Sigma 24mm f/1.4 DG HSM Art Lens review page. I am a member of the waiting-for-the-24-Art-Lens club. I have been very anxious to see what level of performance this lens would turn in. Though the chart used in the image quality test is tough on a lens' performance, it mirrors what I am seeing in real world results. While I am not amazed by this lens' wide open performance, it is at least as good as the FAR-more-expensive Canon 24mm f/1.4L II and it is razor sharp when stopped down slightly. I hope to have this full review completed in the next week or so. Stay tuned. Initial inventory of the 24mm Art lens did not satisfy preorders. B&H has the Sigma 24mm f/1.4 DG HSM Art Lens available for preorder with "coming soon" as the expected arrival date. A larger version of this image is available on Flickr, Google+ and Facebook. Also, if reading from a news feed reader, click through to see the framed image. Canon develops the key components, namely the CMOS image sensors, image processors and interchangeable lenses, employed in its interchangeable-lens cameras. The most advanced of these technologies are incorporated across the Company's entire product lineup, spanning from professional-use flagship cameras to entry-level models, enabling the Company to maintain the top global share by offering a robust product lineup that effectively responds to the needs of a wide range of users. In 2003, the dawn of digital SLR cameras, Canon introduced its breakthrough EOS Kiss Digital (EOS Digital Rebel or EOS 300D Digital in other regions). This groundbreaking camera, which featured a compact, lightweight design and was offered at a competitive price, set the stage for growth in the digital SLR market and enabled the Company to capture the top share of the global market. Since that time, Canon has continued to launch epoch-making new products, including the EOS-1D series of digital SLR cameras targeting professional users, and the EOS 5D series, which paved the way for digital SLR video recording thanks to its full-frame sensor employing a video-capture function. In October 2014, targeting advanced-amateur users, Canon launched the EOS 7D Mark II, which has garnered high acclaim from the market for its fast continuous shooting speed of 10 frames per second and superior autofocus performance. 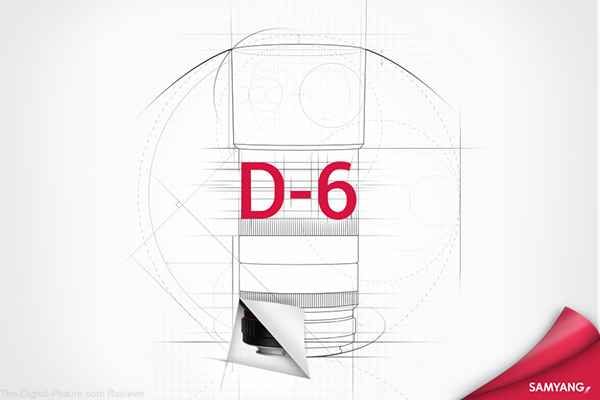 It is thanks to Canon's impressive camera lineup, including the EOS 7D Mark II, that the Company has maintained the No. 1 share in the market for 12 years running. Furthermore, in April 2014, Canon celebrated an impressive lens-manufacturing milestone with the production of its 100 millionth EF-series interchangeable lens for EOS cameras. The Company's extensive EF lens-series lineup, which currently comprises a total of 97 models,2 is one of Canon's biggest strengths, helping the EOS series to realize a wide spectrum of imaging possibilities and rich visual expression. Aiming to further strengthen its wide product lineup, Canon introduced five new camera models in February of this year. The new lineup comprises the EOS 5DS and 5DS R, which achieve the world's highest pixel count among 35 mm full-frame sensor digital SLR cameras,3 the EOS 8000D (EOS Rebel T6s or 760D) and EOS Kiss X8i (EOS Rebel T6i or 750D in other regions) entry-level digital SLR cameras, and the EOS M3 digital compact-system camera, which achieves greatly enhanced AF performance. B&H carries Canon DSLR cameras. Photoshelter Offers "The SEO Guide for Photographers"
Just 12 steps to better SEO! When it comes to Search Engine Optimization, the most important question you can ask yourself is: how can I improve my SEO so my photography business is easily found online? The SEO Guide for Photographers, re-released with the newest, most relevant information answers this question and gives a lay person’s low down on the oft-misunderstood world of search engines. This Guide will help you gain a better understanding of Google Analytics, become familiar with SEO lingo, and help you understand why you’re not topping the search list on Google. Plus, dive in and start improving your SEO today with 12 actionable steps you can take - from “basic” to “expert” we’ve got you covered. Download your copy of The SEO Guide for Photographers today! Permalink: Photoshelter Offers "The SEO Guide for Photographers"